Fall is my favorite season, because it’s marked by several of my favorite traditions– one of which is carving pumpkins. Last year and for the first time in many years, I decided to visit a local pumpkin patch to pick up a couple orange guards to carve. It took me a while to decide on what to carve, but I finally decided on Ash’s Squirtle from the Squirtle Squad Pokemon episodes. It was important to me to set time aside to do something fun and creative and share my creation with friends. This October marked the first Halloween since Retro Chronicle was created. So I wanted to do something fun to showcase some creative people and get the word out about this site. Many social media contests simply involve reposting an image or sharing a page a certain number of times. But to me, that is a little spammy and unimaginative. So a pumpkin carving contest felt perfect. Carve or decorate a pumpkin with a retro or nostalgia theme. Upload a picture of your creation to Instagram. 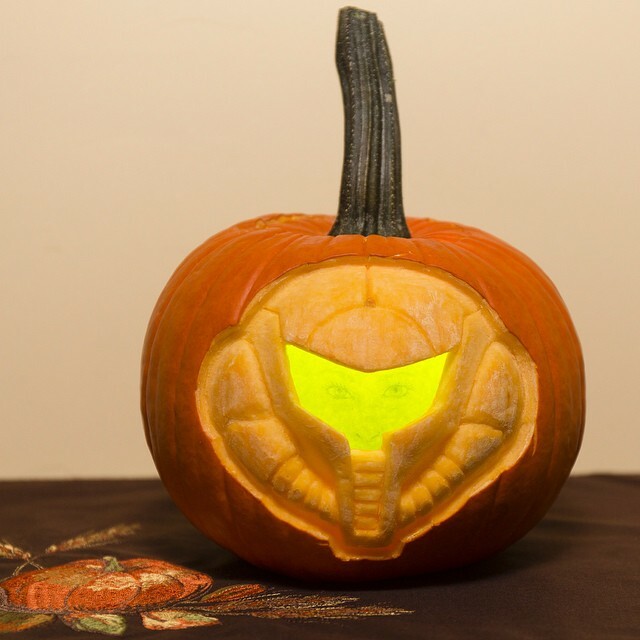 Tag us (@retrochronicle) in the post and add the hashtag #retropumpkincontest. Tell us (about 3-5 sentences) about how and why you carved the pumpkin this way. The contributors of Retro Chronicle (about five of us) had a difficult time picking the winners of this contest, but we all agreed that Frankie had some of the most creative and detailed entries. 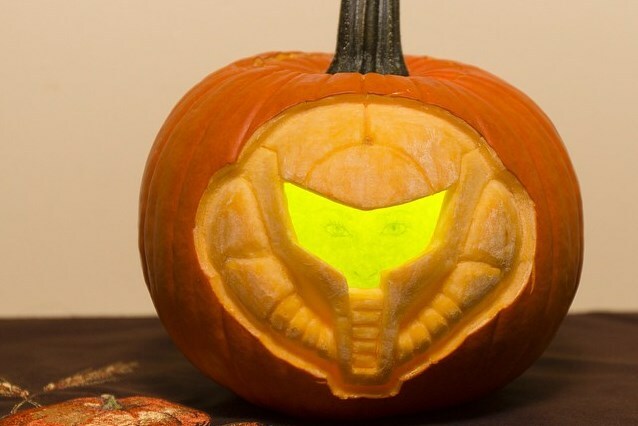 In addition to this Metroid-inspired carving, he also crafted two others– one incredible, 3-D Yoshi pumpkin and an equally-impressive Metal Gear-inspired pumpkin. His prize is a large box full of awesome, retro goodies, including: World of Nintendo Legend of Zelda and Super Mario action figures, classic story books on 7-inch vinyl records, Game Boy games, NES manuals, an antique Kodak Instant Camera and a Tiger Electronic Pinball game. 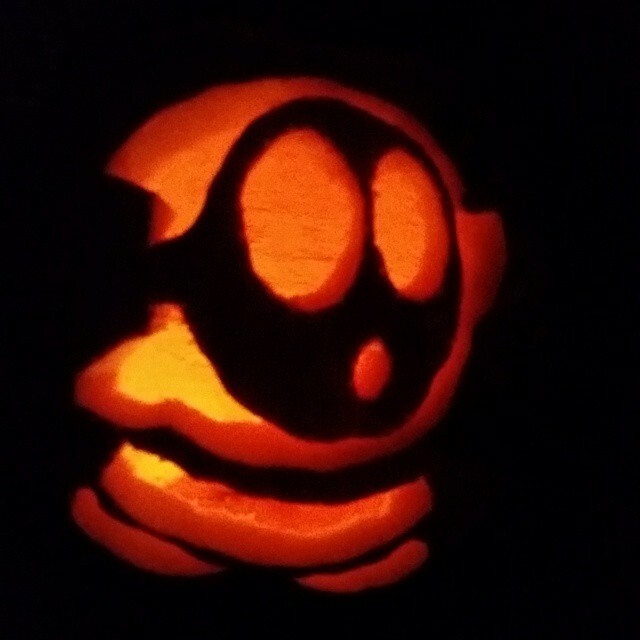 When I spoke to the other Retro Chronicle contributors about who should win, all of them mentioned that they loved this Shy Guy pumpkin. This Instagram user obviously has a deep fascination. Nfalax also submitted a great Bowser pumpkin. 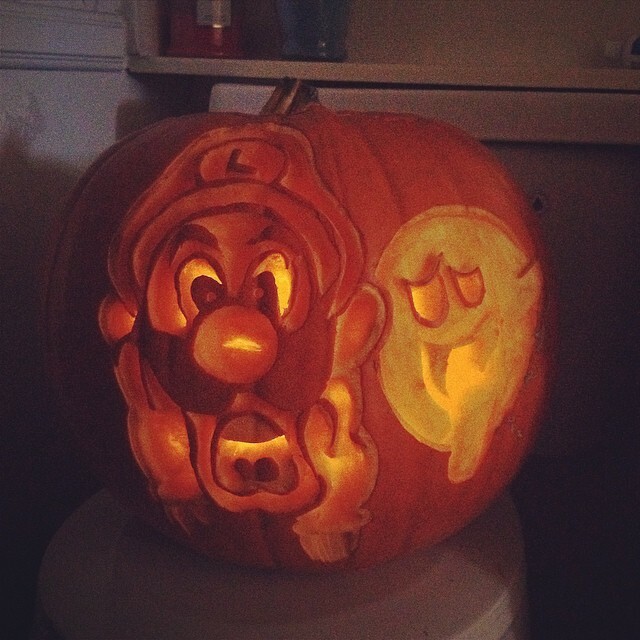 Shy Guys are timid troublemakers in the Super Mario Bros series, famous for the masks they wear as seen in this pumpkin. They made their debut in Super Mario Bros 2 for the NES. Both the second and third place winner of this contest will get free downloads of their choice for the Wii U or 3DS. I would like to thank everyone who participated in this contest! I was a little skeptical about doing this contest, because I wasn’t sure enough people would want to participate. But by the end of the month, over 40 submissions had poured in from dozens of creative people. Due to the success of this contest, I hope to host another pumpkin carving contest next year! Stay tuned tomorrow, because I’m going to showcase ten of my other favorite retro or nostalgia-themed pumpkins that were submitted into this contest this year.